With his curly black hair and his wicked grin, everyone swoons and thinks of Frank Sinatra when Navy musician Jackson Lewis takes the stage. It’s World War II, and while stationed in St. John’s, Newfoundland, Jack meets the well-heeled, romantic Vivian Clift, a local girl who has never stepped off the Rock and is desperate to see the world. They marry against Vivian’s family’s wishes–hard to say what it is, but there’s something about Jack that they just don’t like–and as the war draws to a close, the new couple travels to Windsor to meet Jack’s family. But when Vivian meets Jack’s mother and brother, everything she thought she knew about her new husband gets called into question. They don’t live in the dream home that Jack depicted, they all look different from one another–and different from anyone Vivian has ever seen–and after weeks of waiting to meet Jack’s father, William Henry, he never materializes. 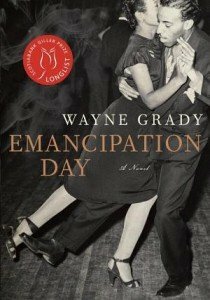 Steeped in jazz and big-band music, spanning pre- and post-war Windsor-Detroit, St. John’s, Newfoundland, and 1950s Toronto, this is an arresting, heart wrenching novel about fathers and sons, love and sacrifice, race relations and a time in our history when the world was on the cusp of momentous change.